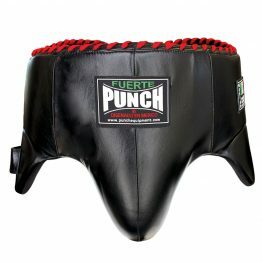 Why choose Mexican Stretch Hand Wraps? Protect your hands and boxing gloves with our Mexican ‘Fuerte’ 5m Stretch Hand Wraps. Stretch wraps are ideal for filling out any boxing glove as they stabilise your wrist and protect your entire hand as well as your gloves during boxing training. Our hand wraps also provide extra support as they are five metres long and are available in one size only. We recommend wearing stretch hand wraps under your gloves to prevent hand injury and help your boxing gloves last longer. NEW to Punch® in 2017. Great wraps with the extra length you get maximum support and protection. This wraps are alot better for my hands then normal wraps with the extra metre i can wrap my knuckles and thumbs probably aswell. i personally like the longer wrap. a great hand wrap for people who want that extra protection around the wrist, forearm or knuckles depending on how you wrap your hands!!!!! Good value for money and well made.